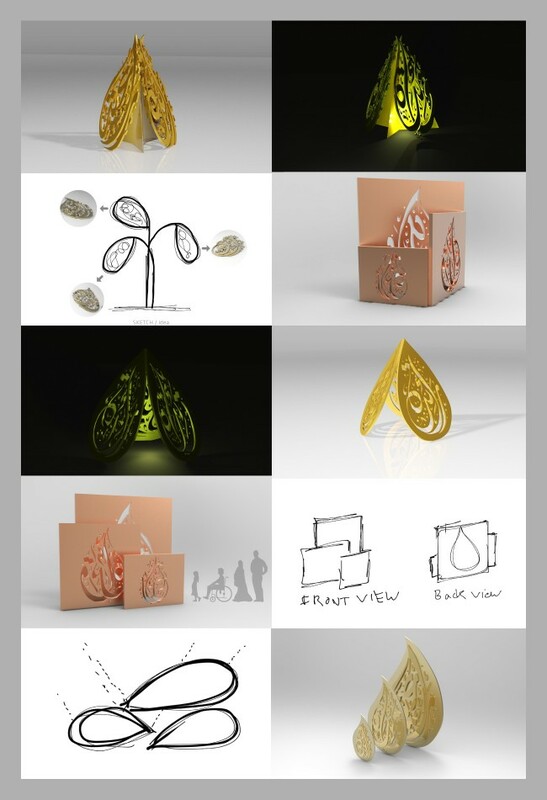 Dar Al Hekma University in Jeddah, Saudi Arabia, commissioned Tarek Atrissi Design to develop a concept design for a three-dimensional sculpture. The Sculpture was meant to be placed in a central location in the campus on the occasion of Dar Al Hekma College officially receiving a University status. The sculpture was designed in parallel to a visual identity re-launch for the university. 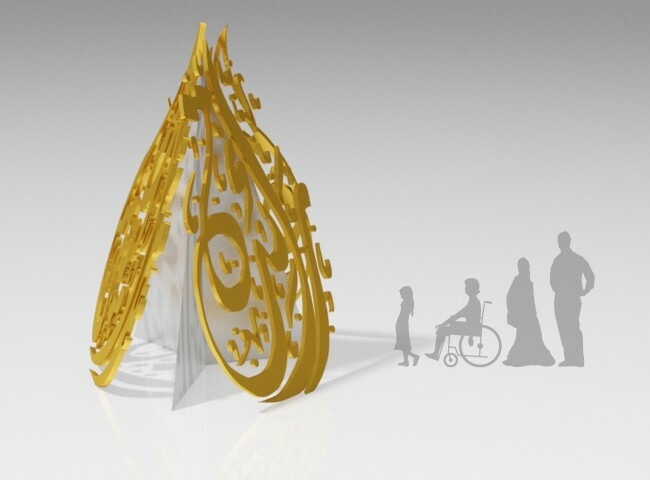 The three Arabic keywords that describe the University’s graduate profile were used as the main design elements for the sculpture. Each word was rendered in a classic calligraphic style in a teardrop shape- coming all three together to form a 3D large triangular structure. 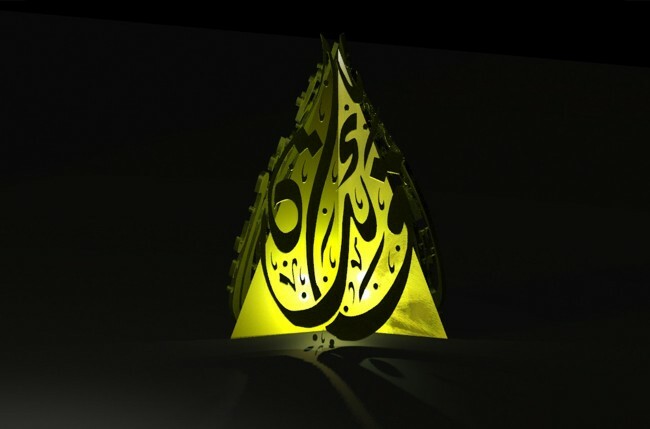 Built from a golden metallic material, the sculpture has inner lighting that projects the shadows of the Arabic calligraphy on its surrounding environments. The concept design of the sculpture was the result of a long process of sketching various ideas and concepts and possible ways of visualizing them in space.